China has denied U.S. charges that it is militarising the sea, which also is claimed by Brunei, Malaysia, the Philippines, Taiwan and Vietnam. Washington: China has built new military facilities on islands in the South China Sea, a U.S. think tank reported on Thursday, a move that could raise tensions with Washington, which has accused Beijing of militarising the vital waterway. 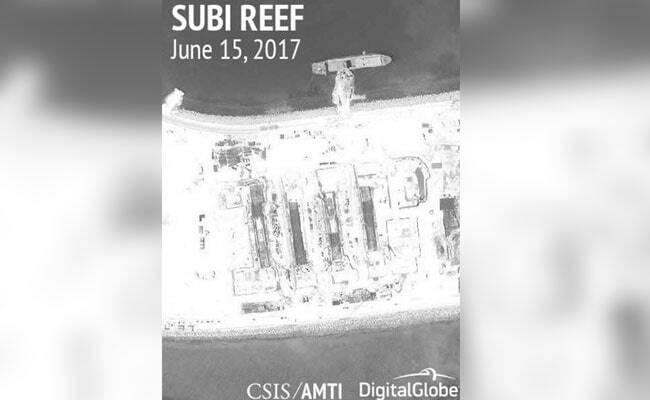 The Asia Maritime Transparency Initiative (AMTI), part of Washington's Center for Strategic and International Studies, said new satellite images show missile shelters and radar and communications facilities being built on the Fiery Cross, Mischief and Subi Reefs in the Spratly Islands. The United States has criticized China's build-up of military facilities on the artificial islands and is concerned they could be used to restrict free movement through the South China Sea, an important trade route. Last month, a U.S. Navy warship sailed within 12 nautical miles of Mischief Reef in a so-called freedom of navigation operation, the first such challenge to Beijing's claim to most of the waterway since U.S. President Donald Trump took office. Trump has sought China's help in reining in North Korea's nuclear and missile programs, and tension between Washington and Beijing over military installations in the South China Sea could complicate those efforts. 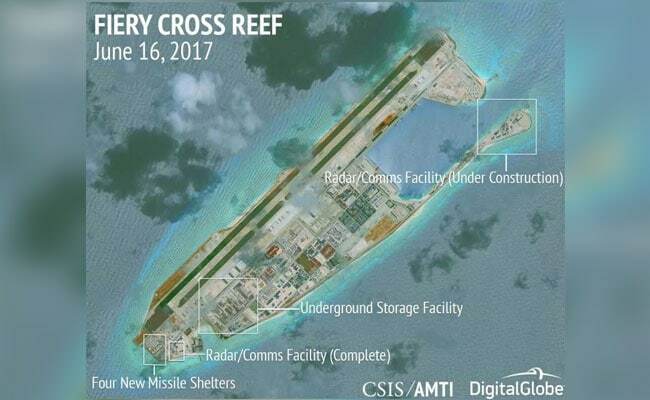 China has built four new missile shelters on Fiery Cross Reef to go with the eight already on the artificial island, AMTI said. Mischief and Subi each have eight shelters, the think tank said in a previous report. In February, Reuters reported that China had nearly finished building structures to house long-range surface-to-air missiles on the three islands. 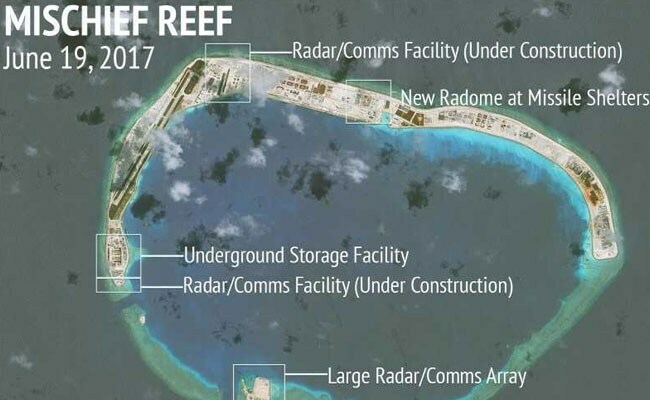 On Mischief Reef, a very large antennae array is being installed that presumably boosts Beijing's ability to monitor the surroundings, the think tank said, adding that the installation should be of concern to the Philippines due to its proximity to an area claimed by Manila. A large dome recently was installed on Fiery Cross and another is under construction, indicating a sizeable communications or radar system, AMTI said. Two more domes are being built at Mischief Reef, it said. A smaller dome has been installed near the missile shelters on Mischief, "indicating that it could be connected to radars for any missile systems that might be housed there," AMTI said. "Beijing can now deploy military assets, including combat aircraft and mobile missile launchers, to the Spratly Islands at any time," it said.